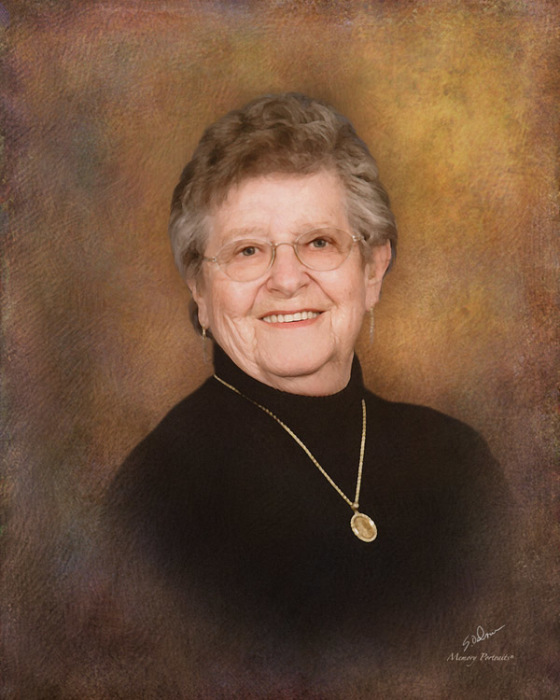 Shirley A. McIntosh, Haubstadt IN passed away on January 22, 2019 at Heritage Center in Evansville IN, Shirley was born on October 13, 1935 to the late Olvy and Catherine (Seibert) Claspell in Evansville IN. Shirley was a member of Sts. Peter and Paul Catholic Church in Haubstadt, SWIRCA, The Kitchen Band, River City Clowns Auxiliary, American Legion Post #194 Auxiliary, VFW Post #2714 Auxiliary, St Bernardette Auxiliary, Daughters of Isabella and Heritage Center Resident Council. Preceding Shirley in death are her Husband Nathan McIntosh, Son, Keith, and Grandson Christopher and Sister, Wilda Barnett. Shirley is survived by her children, Kristina (Jeff) Fields, Evansville, IN, Anna (Tim) Butler, Wadesville IN and Alan (Beth) McIntosh, Ashland KY, 10 Grandchildren and 13 Great Grandchildren. Sisters, Jacqueline (Ernie) Payne, Evansville, Hazel (Jim) Tepool, Poseyville, IN and Betty (Jim) Rittenhouse Evansville IN. A Mass of Christian Burial will be on Monday, January 28, 2019 at 11:30 AM at Sts Peter and Paul Catholic Church in Haubstadt with Co-Celebrants Father Tony Ernst and Father Ambrose Wanyonyi. with burial in the church cemetery following. Visitation will be on Monday January 28, 2019 from 9:00 AM till 11:00 AM at Sts. Peter and Paul Church followed by a rosary at 11:00 AM. Donations maybe made to Sts. Peter and Paul Catholic Church.